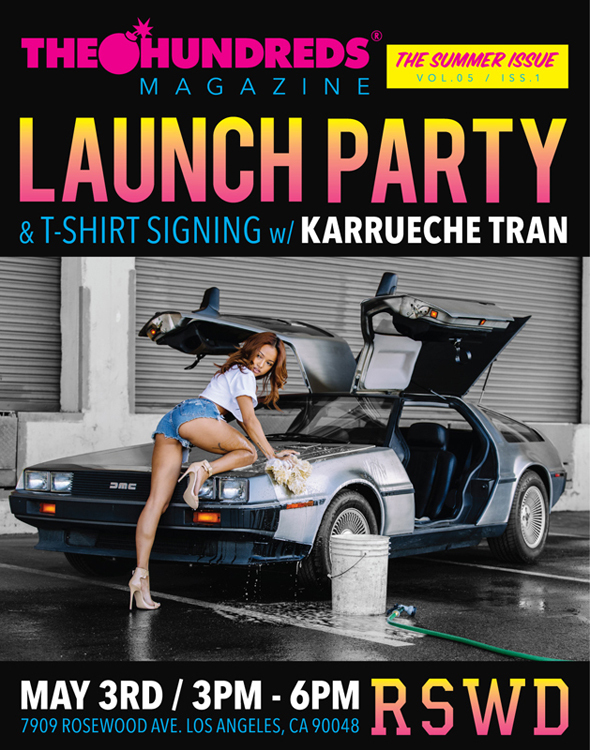 The Hundreds invites you to come out to The Hundreds Los Angeles today from 3PM to 6PM for a live signing with The Hundreds Summer 2014 cover model Karrueche Tran. In conjunction with the signing and magazine release, there will also be a T-shirt available for purchase featuring Karrueche’s cover shot from the issue. Drop by, grab a mag and T-shirt, and chop it up with the woman of the hour.